Your chances of succeeding in your current change efforts are directly affected by your people’s level of readiness and capacity to change. 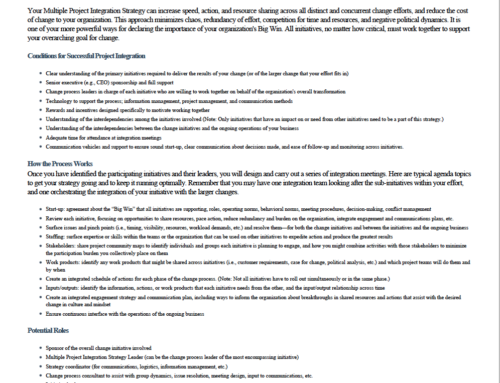 This Info Sheet provides a comprehensive list of dynamics that influence both readiness and capacity. Many leaders never address these topics in preparation for a major change effort. Some resist delving into such matters. 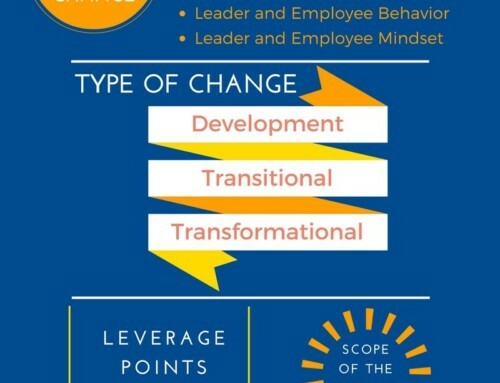 However, inquiring into these subjects will likely surface information that, although it may be uncomfortable for the leaders to acknowledge, is key to aligning their change strategy with the true condition of the organization. At the very least, raising these topics will start many conversations among leaders and employees that would never otherwise have occurred, all in the name of building awareness for leading conscious transformation.